Diabetes in China, which is emerging as a major health issue in the country is probably being aggravated by its one-child policy, experts observe. The Chinese Government said that about 100 million families have just one child, which translates into an equal number of first borns, a status that researchers are finding may be linked to conditions that raise obesity risk, Chong Yap Seng, a scientist at Singapore’s National University Hospital, said. Dr Chong and colleagues in Beijing and Southampton, England, are studying the biological mechanisms that have conspired with diet and lifestyle changes to produce 92.3 million diabetics in China, almost four times as many as in the United States. 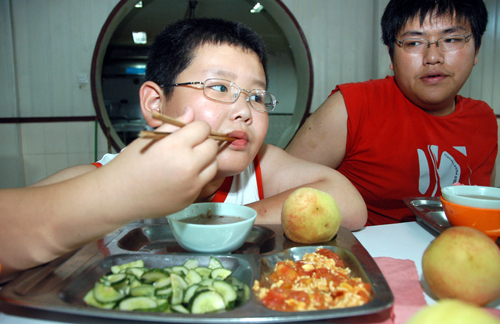 Chong said that first borns gain weight faster and are bigger as adults, a trajectory that increases obesity risk and may explain why China’s diabetes prevalence has more than tripled in a decade, the report said. Sales of diabetes medicines in China will expand 20 percent a year to reach 3.2 billion dollars by 2016, consulting firm IMS Health said, it said. The one-child policy was introduced in 1979 to curb a population growing 1.4 percent a year and to promote prosperity, it added. According to the report, some exceptions to the policy are allowed, such as permitting rural families to have a second child if the first is a girl. Those who can afford to can have a second or third baby by paying a fine. Rising numbers of diabetics, though, are costing China’s economy 26 billion dollars annually in medical care and lost productivity, according to the International Diabetes Federation. The prevalence of diabetes in China, a nation of 1.34 billion people, is 8.8 percent, the report said. The U.S. has a diabetes prevalence of 9.3 percent and 24.1 million sufferers, according to federation estimates released last month. Within 18 years, China is projected to have 130 million sufferers of Type 2 diabetes, the form of the disease in which the body stops responding properly to the hormone insulin, according to the Brussels-based federation. The disease is already killing 1.2 million Chinese a year because of kidney failure, heart attack and other associated conditions, it said in a recent report. A 2010 study by researchers in Brazil, Britain and Italy published in PLOS One found that birth order is associated with increased body mass, higher levels of fat and metabolic risk in young adult men in Brazil, the report added.